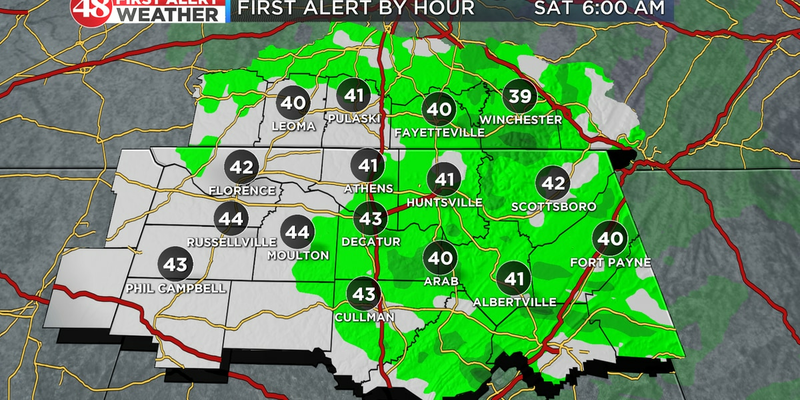 HUNTSVILLE, AL (WAFF) - WIND ADVISORY will continue through 9:00 PM CDT tonight, gusts over 35 miles per hour will be possible before tapering off after midnight. Skies will clear and temps will fall quickly into the upper 30s to lower 40s, the breeze overnight should prevent any frost from forming. Monday will be a sunny start to the week with cooler highs in the middle 60s. The FIRST ALERT is out for the potential of strong to severe thunderstorms moving in along a cold front Thursday afternoon, please check back for updates on this forecast. 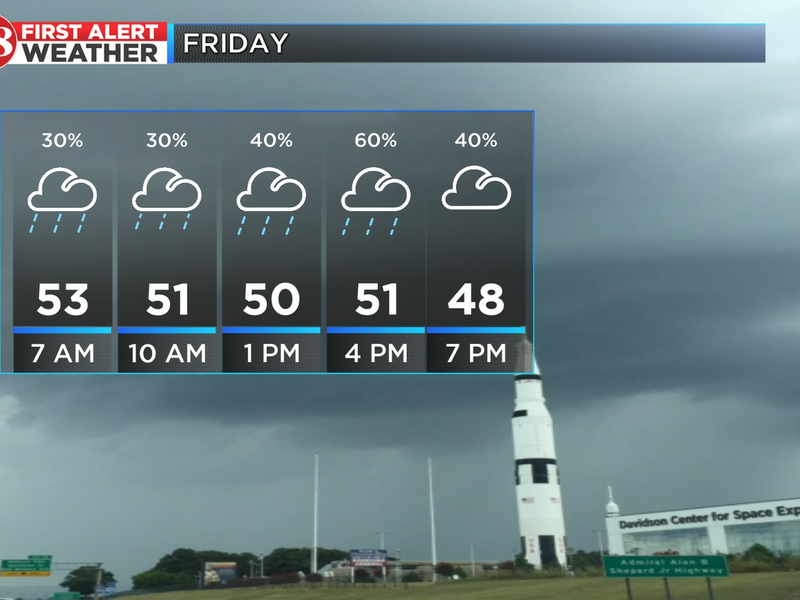 Temps will be much cooler on Friday behind the cold front with highs in the lower 60s and a few morning rain showers. Easter weekend is trending on the cooler side with highs in the low 60s, showers will be likely on Saturday.